After almost 30 years in business, Madras Mahal is shuttering it’s doors and has been replaced by Dosai. Madras Mahal was an institution serving delicious kosher vegetarian South Indian cuisine. A star feature of Madras Mahal was it’s delicious all you can eat lunch buffet. Needless to say Madras Mahal will be sorely missed. 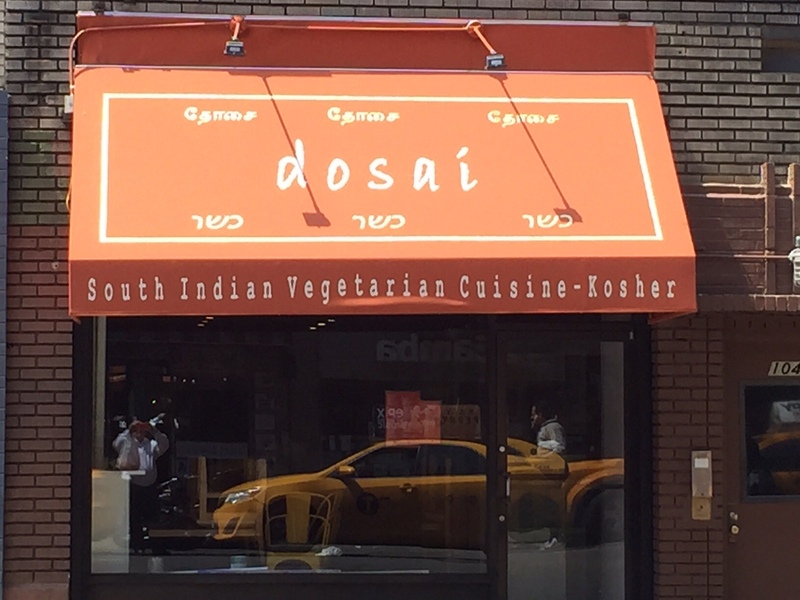 Dosai is currently open and while they are not serving buffet lunches, they are serving lunch special Thalis, which come with an array of small Indian dishes, breads, and rice. There’s a North Indian (Mumbai) option and a South Indian (Chennai) option for lunch. We are hoping that Dosai can fill the very large shoes Madras Mahal leaves behind. Kosher supervision will be under the OKS.